What do you do when you are a boutique retailer, with two showrooms that are both small and are a ten minute walk away from each other, with some interesting but confusing streets in between? 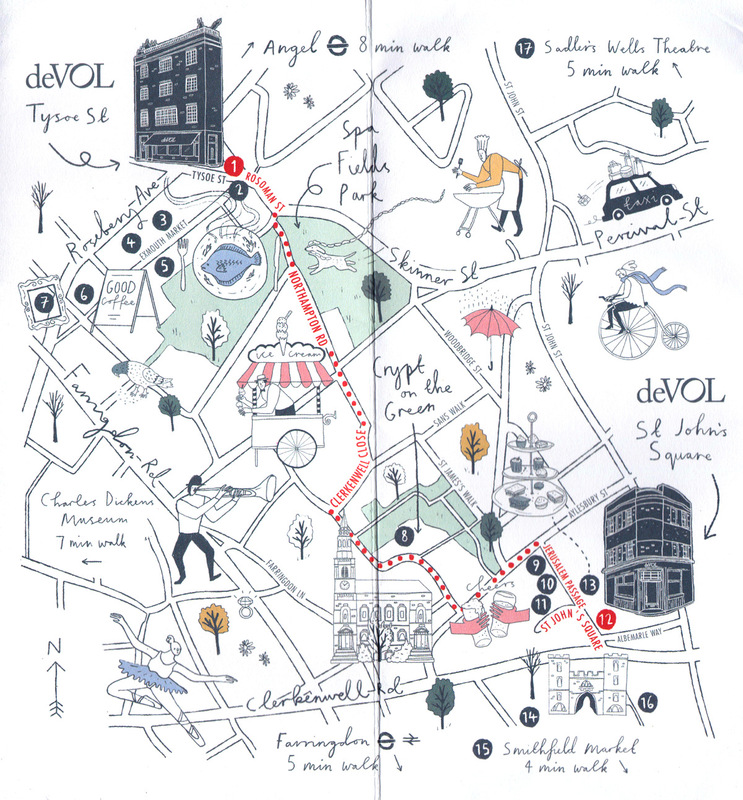 If you are in a rush you just screenshot a Google Maps route and stick it on your website, so it’s refreshing to see deVOL, an upmarket kitchen retailer, has taken a different approach and has drawn and published a leaflet containing this map of their Clerkenwell neighbourhood, showing not only a route between the two showrooms, but also a selection of interesting things to visit in the local area. 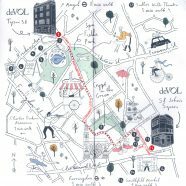 The map was drawn by Assistant Graphic Designer Mol Mathews, and a blog post on the deVOL website details the brief and the process. 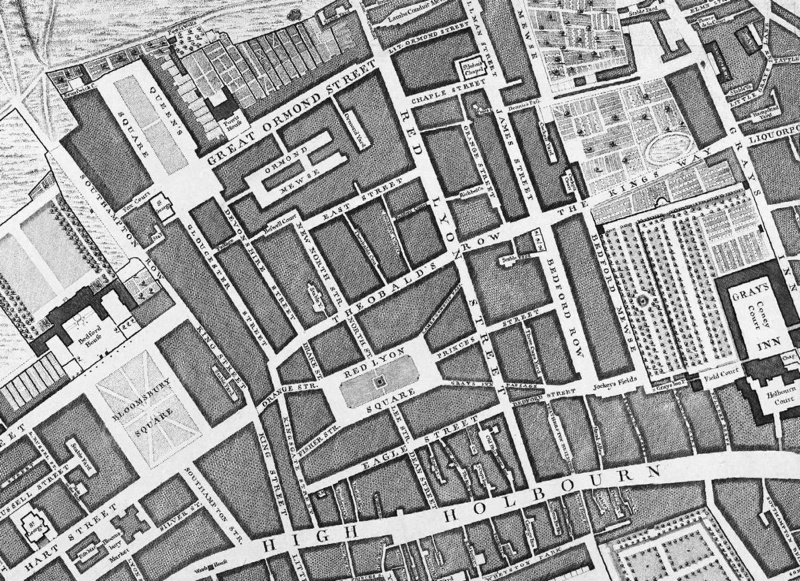 The map has a nice mix of hand-annotated places and regularly labelled streets, with four pastel shades added sparingly to give a bit of colour to the map, and the all-important route highlighted in red. 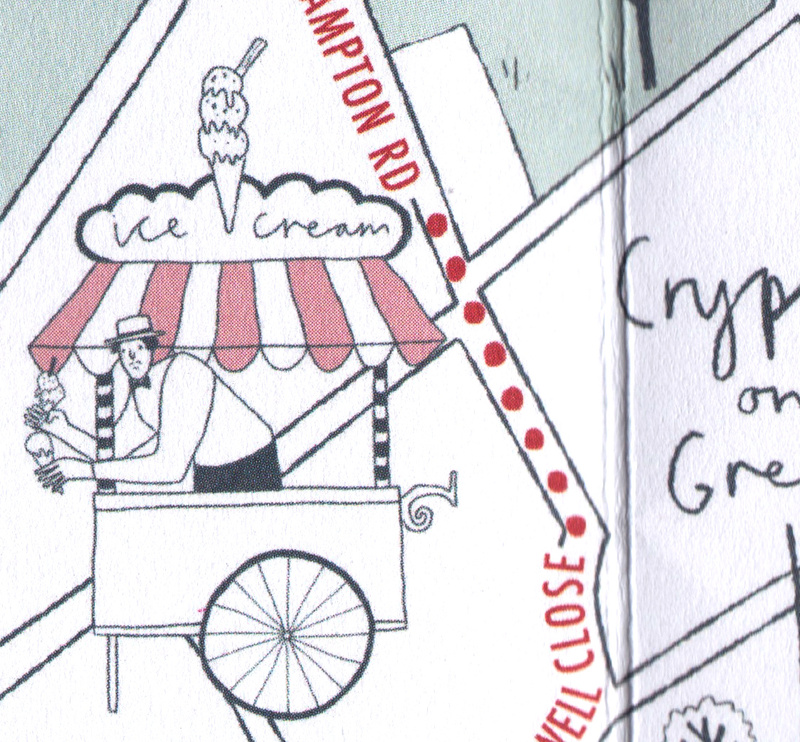 The map is firmly grounded in realism, with pubs, dogs, pigeons and brollies showcasing the reality of London. 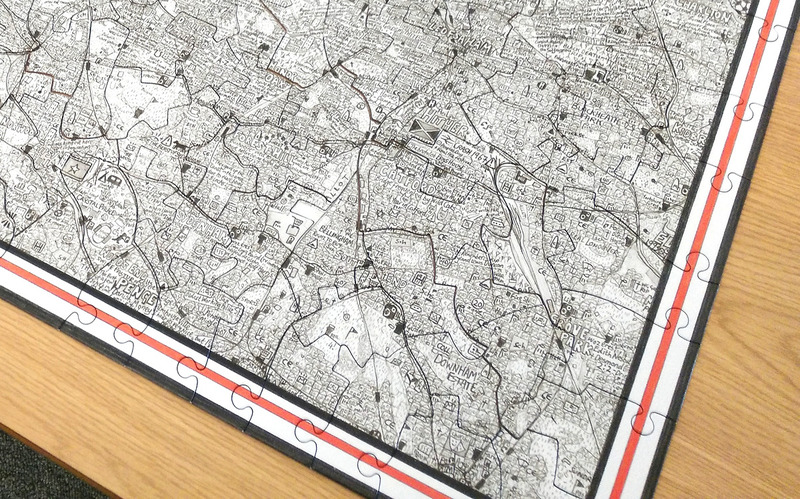 16 points are numbered, with an accompanying key detailing these “favourite spots”. In all, it’s a lovely homage to a lovely inner London neighbourhood. It’s a work of care and attention. You can pick up a free copy in either of their showrooms. Obtained from a deVOL showroom after Mapping London spotted a tweet. 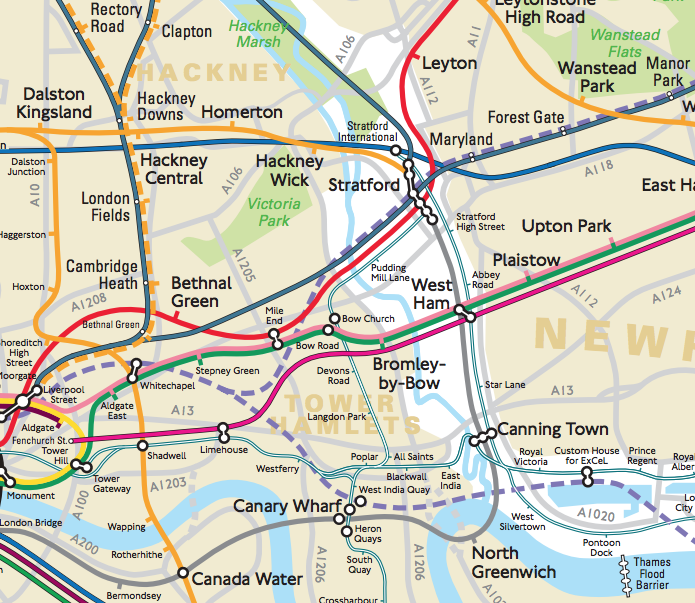 This is charming, cute and useful, not the three words associated with maps all the time!